Get ready to break out of those winter doldrums Londoners. There are two fabulous events going on in London, Ontario this weekend that I have to tell you about. Get out of the house and go check out the Lifestyle Home Show and take in a bite to eat at Londonlicious! 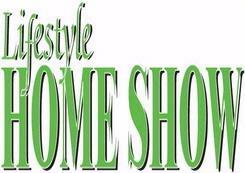 The 20th Annual Lifestyle Home Show will be held at the Western Fair District this weekend. The show is back for another fabulous year, from January 25-27, 2013. Doors will be open 12-9 pm on Friday, 10 am – 8 pm on Saturday and 11 am – 5 pm on Sunday. Tickets cost $10 for adults, $8 for seniors and is free for children aged 12 and under. There are over 350 vendors scheduled to be there with a wide variety of products and services for your home. If you are thinking about building, renovating or decorating this year, you have to head down to the show. There are contests to enter and prizes to be won, but the best part will be all the ideas you get as you wander around through all the buildings. That’s right, the show will be held in the Progress Building, Special Events Building, West Annex, Canada Building, as well as in the link and East Annex. That’s a lot of floor to cover, so be sure to wear your walking shoes. Don’t worry if your feet get tired though, as you can always stop to take in one of the many workshops running all weekend long. When you have had enough of the Lifestyle Home Show, your next stop should be for dinner. And Londonlicious has some serious good eats that you need to consider. If you didn’t make it to last year’s event, let me tell you how this gastronomical extravaganza works. Londonlicious is a celebration of food in London, Ontario that over 35 restaurants are participating in. For anywhere from $15-$35, you can get a three-course meal at any one of the local participating restaurants. Select from your chosen restaurant’s prix-fixe menu and be ready to be swept away. Your taste buds will be in heaven! Whether it be for lunch or dinner, contact the restaurant, make a reservation and enjoy. Wondering what restaurant to consider? Why not try Aroma Restaurant, Blackfriar’s Bistro, CHE Resto Bar, Delta Armouries, Garlic’s of London, Kettle Creek Inn or the Runt Club? If you want a view, try The River Room inside Museum London. If you want entertainment, head to Top of the Fair for harness racing while you dine (plus its conveniently located in the Western Fair District as well!). The historic Windjammer Inn is situated a short drive away in lovely Port Stanley. If you have ever wanted to dine in a manor or mansion, reservations at either the Windermere Café or Villa Cornelia Restaurant should fit the bill. There are restaurants ranging from pizza to upscale dining, and ethnic fare to pub grub. Grab a deal at your favourite restaurant or maybe even discover a new favourite place to eat! Londonlicious runs from January 17th – February 3rd, 2013. Make your reservation today! Rain one day, fleeting sunshine the next; that is how the autumn is going this year. We need the rain for drought-starved trees, rivers and more, but it certainly makes fall cleanup a little more difficult. After all, who likes to rake soggy leaves? Not my wife! It has to get done though (I keep telling her). So the kids end up heading out to tackle the task. Joking! But seriously, there are plenty of tasks to accomplish around the house before winter sets in. Odds are that the kids will want to help with some of them too (by jumping in the leaf piles you rake up). Whether you like it or not, that snow is just around the corner, so get on that to-do list soon people! Grab a stack of yard waste bags and dig into that pile of leaves in the backyard. It’s time to rake! Raise the blade on your mower for one last pass on your lawn, then say goodbye to cutting the grass for a season. Make sure to sharpen the blade on your lawn mower and pull the battery out of your riding lawn tractor, if you’ve got one. Don’t forget to pour in that engine stabilizer while you are at it! When you come in from all that outdoor work, enjoy the aroma of your delicious Autumn Vegetable Beef Stew simmering in the crock pot. The newest addition to Crock Pot Corner comes from Southern Food and is perfect after a day spent outside in the crisp Autumn weather. Mmm, mmm, mmm. Bon appetit! Cook bacon, beef, and onions in a large skillet over medium heat until the beef is browned and the bacon is cooked. Put the beef and onions in the slow cooker with the bacon, beef broth, apple cider, potatoes, carrots, celery, rutabaga, bay leaf, rosemary and pepper. Cover and cook for 7 to 9 hours. Combine flour with cold water to form a smooth mixture. Stir into the beef mixture, turn to HIGH, and continue cooking for 15 minutes longer. The Week of Leftovers: It’s Turkey Time! Grace has been said and a turkey was sacrificed in the name of feasting with family and/or friends. We have all given thanks for that. After eating more than you ever thought was humanly possible, you’ve pushed back from the table. Dishes have been cleared, washed and put away. So I guess you figured that Thanksgiving was over then, right? What about all those leftovers? At what point did you realize that a 25-pound-turkey was a little more than you needed for your intimate gathering of eight? Oops! Now what do you do? Like all good Canadian families throughout the land, you declare that it’s the “Week of Leftovers“! There are turkey sandwiches, turkey soup, turkey pot pies and of course the standard reheated turkey dinner that you began with, all up for this week’s menu. Think turkey casserole, turkey sheppard’s pie and maybe even turkey burritos to tempt the kids with! The anti-turkites among you might be screaming in horror, but I bet that there are a far cry more people that have their very own favourite leftover turkey recipes that get passed down from Mother to Daughter/Son through the ages. 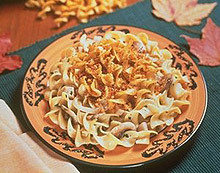 Or perhaps you are looking for something new to turn your leftover turkey into? Once you are done with the turkey sandwiches and the stuffing is gone for re-heated turkey dinners, are you at a loss? Are you getting desperate looking at the seemingly never-ending plate of turkey meat? My friends, do you need a few more ideas for what else to turn that remaining turkey into? Here’s a recipe from DIY Reviews, to help you use up some of that leftover turkey that is still in your fridge. It’s cooked in my favourite kitchen tool, the crockpot, to ensure that dinner is ready as soon as you walk in the door tonight. Spray inside of slow cooker crock with cooking spray. Place broken up spaghetti on bottom of crock pot. Combine water, soup, pimiento, and mushrooms. Stir in the cheese, turkey, onion and parsley. Pour other mixed ingredients over spaghetti. Cook on low for 4 to 6 hours or until spaghetti is tender. 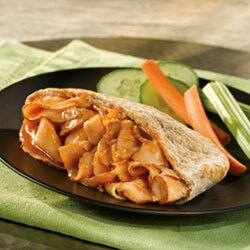 And what about something completely different from Canadian Living‘s kitchen – Turkey Potato Patties! Uses up your leftover mash as well! In large nonstick skillet, heat oil over medium heat; fry patties, turning once and reducing temperature if browning too quickly, until crusty and golden, about 6 minutes. What’s your favourite leftover turkey recipe? What’s going on London, Ontario? We are down to the last weekend of August and summer is slipping through our fingers fast. What did your summer look like? Did you travel the country or relax in your very own backyard? Did anyone make it camping or were you lucky enough to escape to the cottage? How about all those festivals? Did you make it to any? If you somehow managed to miss them all, I happened to have heard of a few more festivals to entertain you with before the summer winds to a close. You might start the day in downtown London, but prepared to be whisked away to Italy this coming weekend. From August 24-26, 2012, Covent Garden Market will be transformed into an Italian cultural hub during Festa Italiana. If you go, you will be treated to delicious Italian delectables, as well as be able to watch live cooking demonstrations, but it doesn’t stop there. Italians love their music and the festival is no exception. Orchestra Italiana London (OIL) will tempt you to fall in love with Italian tunes, as will the likes of many talented tenors and sopranos. A fashion show will also be held Friday night. And if that’s not enough, make a point of catching the opera on Sunday at 7pm, when the Cambridge Symphony Orchestra presents La Traviata. Not something you get to see every day, and well worth checking out for its magnificent homage to all things Italian. The hours of the festival are 11am-midnight (Sunday to 11pm), so make sure you bring some dancing shoes to take it all in with. It is sure to be a buon fine settimana! Back for a second year in a row, Fall Fest is returning to Victoria Park from August 31 through to September 3, 2012. If you missed it last year, you have to make a point of checking out this great new free festival in the core. From 11am-11pm, all weekend long, tempt yourself with carnival rides, visit the food vendors, listen to live music, plus get a taste of fall fun with a biggest pumpkin contest, live animal displays, craft displays, wood-working demonstrations and competitive arts competitions (like quilt, bread and wine making). It’s a great way to say goodbye to festival season at Victoria Park, so head down to say goodbye to summer in London! If you prefer your festivals with a smaller town feel, then look no further than the South end of London for the 34th annual Lambeth & Community Harvest Festival from September 6-9, 2012. This is how a fall festival is meant to be! Look forward to a teen dance, adult dance, a golf tournament and slo-pitch tournament, a “Show & Shine” car show, Saturday pancake breakfast, children’s fun fair, arts and crafts shows and so much more! You want horseshoes? You got ’em! Have a hankering for a trip to the beer garden or food concessions? Help yourself all weekend long. Everybody loves a parade, so be there sharp at 10am to watch the march. Live music more your speed? How about tunes from Sarah Smith, Radio or Super Falcon to appease you? Perhaps you would rather enjoy fireworks? Show up Sunday at dusk then. With venues around Lambeth, you will get a feel for the slower pace and huge heart that a small community offers. And just so you know, if you are tempted to move a little closer, let me know! I can always help you make your Lambeth love a reality!